Aung San Suu Kyi has taken inordinately long to respond to the Rohingya crisis that confronts both Myanmar and Bangladesh. Sad to reflect, the response ~ articulated in Singapore but neither in Naypidaw nor in Dhaka ~ is rather feeble and therefore disappointing. In the net, she was anxious to ensure that her government plays on the back foot in the face of Rohingya allegations that rehabilitation arrangements in Myanmar are less than humane, and militate against their early return to Rakhine from Bangladesh. Even the United Nations has concurred with the collective grouse of the “nowhere men”. There is little or no indication of a change in the dismal geopolitical reality; rather the “lodestar of democracy” appears to have played the diplomatic dice. She has lobbed the ball onto Dhaka’s court, and barely four months before the national elections across the border. 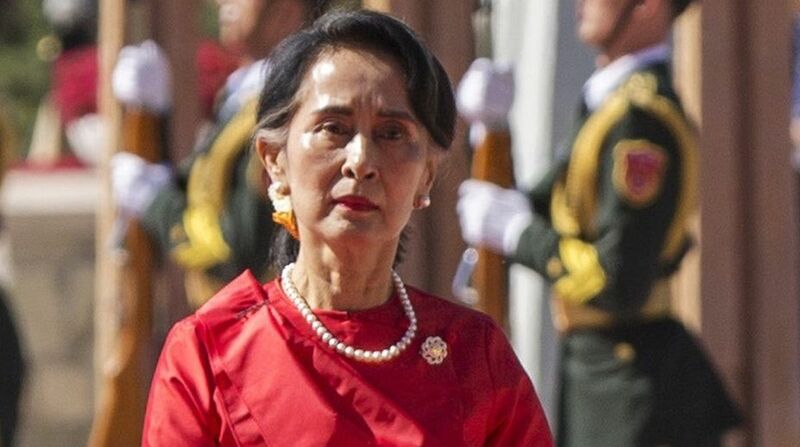 In course of her presentation in Singapore, she has distinctly blamed Bangladesh for the delay, asserting that it was up to Dhaka to decide on how quickly the refugees would return, eventually to be integral to Myanmar’s citizenry. The Myanmar-Bangladesh pact, which envisaged that the Rohingyas would be repatriated, was signed last November. Close to a year after, conditions are far from conducive, let alone the attitude of the supposedly elected government which has turned out to be a mere puppet on the military string. It is hard not to wonder whether the current dispensation in Naypidaw has washed its hands of the matter. Bangladesh has made its position clear, insisting that the Rohingyas are on its soil temporarily. Going by the certitudes of international law, it is Myanmar’s responsibility to put in place an agreeable blueprint on rehabilitation. Far from it. Despite the Memorandum of Understanding, the two countries are wrangling over details, notably the manner of referring to the Rohingyas on the identity cards in Bangladesh. Now languishing in the squalid camps at Cox’s Bazar, the Rohingyas are insisting on safety guarantees and citizenship rights before returning to Rakhine. That stand has now been vindicated by the UN which has reaffirmed that “conditions are not ready for their return”. In a word, Suu Kyi has not spoken for the refugees. On the contrary, she has conveyed her compliments to the military, saying the “Generals in my Cabinet are rather sweet”. In trying to play to the military gallery, she has accorded short shrift to the refugee who has stirred the conscience of the world.